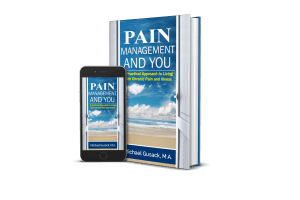 Engaging and insightful, Pain Management and You: A Practical Approach to Living with Chronic Pain and Illness integrates new perspectives and ideas that will assist the reader’s healing and recovery. People around the world struggle with chronic pain management, chronic pain syndrome, and live each day with pain and suffering. This book seeks to help each and every chronic pain patient. If you suffer from chronic pain and want to live your dreams, build your confidence, and improve your pain management, look no further. In his book, Michael develops his themes quickly and delivers them with simplicity and clarity. This is a synthesis of book and workbook…rich in straightforward advice, complemented by easily practiced techniques.